Connecting people to instruments they truly love. Visit our shop. Professional quality handpans for sale. Join our drumming community. Learn how to play. Where to buy a handpan or hang drum near me Chicago, Minneapolis, Milwaukee, Madison. Tuner, builder and tuning services by Isthmus Instruments. The exterior shape offers few answers. With two steel sheets of metal fastened together to look much more like a UFO or a weber grill, the hammer marks and dimples hint at something beyond the visible form. For the piano, we can lift the lid and see the felt tipped hammer that strikes the strings, for the drum we can see the mallets or hands bounce upon a stretched membrane, for the woodwind we can find the reed and sounding holes. But with handpan instrument, we hear evidence of mechanism, yet look inside to find only a hollow body…It is this new form and sound that has captured our attention. Every handpan builder employs different steps to reach their unique sound. The recipes get more refined and specific over time. 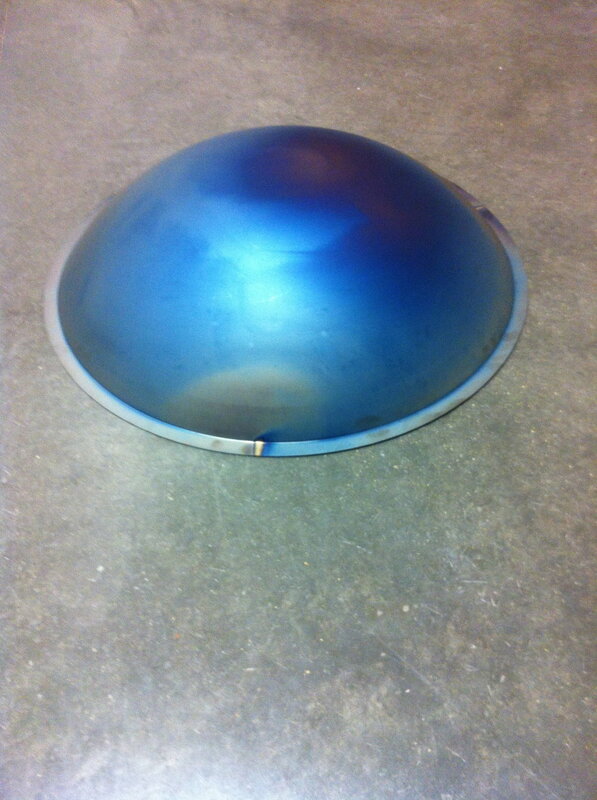 Below are a few pictures which share a very basic process of building a handpan. Click on the pictures for more information. 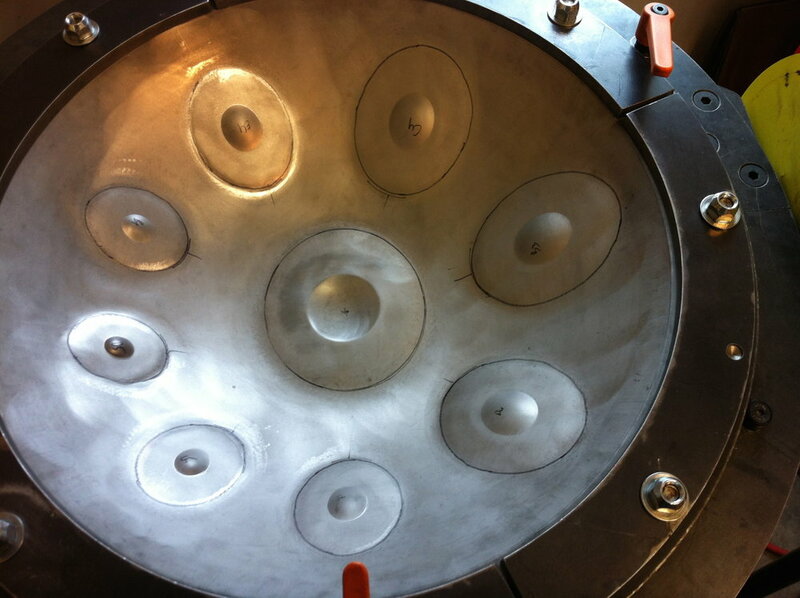 For more technical & in depth resources for those looking to try their hand at building, we recommend this handpan building page by Saraz handpans. Step 1. Sinking. Transforming a flat steel surface into a bowl shape that will eventually become a handpan. Step 2. Heat treatments. Methods we use may include torches, kilns, ovens or furnaces. Step 3. Shaping the handpan. 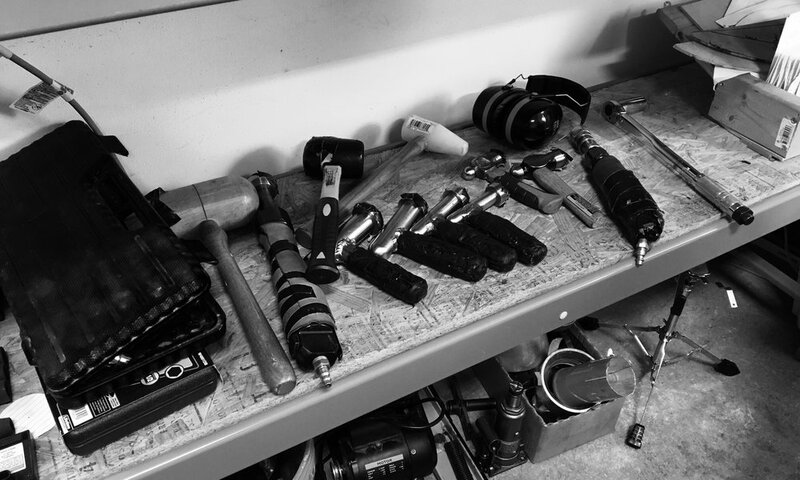 All makers use different tools for this process. Step 4. Tuning. Some of the most differentiation in instrument timbre can come from the the processes employed in steps 3 & 4. Step 5. Glueing. Most handpans are joined with adhesives choosen by the builders. Step 6. Retune(s) after glue. Once the shells are joined, the handpan builder retunes the instrument through the soundhole with a small hammer. 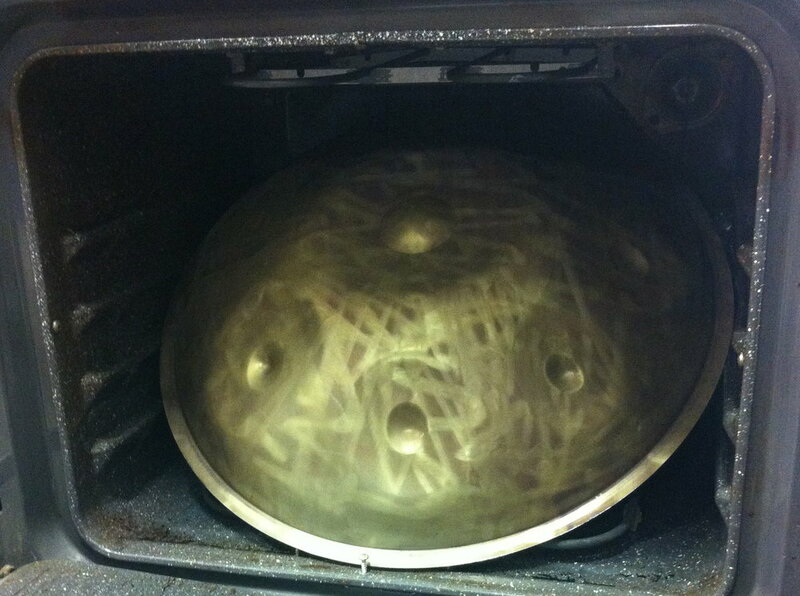 Get $75 off any handpan for sale! Subscribe now for this special deal. Privacy. Terms and conditions. Return policy. Copyright ©2019, Isthmus Instruments, LLC. All rights reserved.